The event recognises the area’s sporting ambassadors including athletes, coaches and administrators. The gala awards ceremony will take place on Friday 2nd November in the Lodge Hotel in Coleraine. Regional heats supported by the local Sports Councils will take place in Ballymoney, Coleraine, Limavady and Moyle prior to the main event. Heat winners across 12 categories, including International Sportsperson of the Year and Sportsperson with a Disability, will then go forward to the gala evening where the overall winners will be announced. There are also a number of categories aimed at young people, including Junior Team, Junior Sportsman and Junior Sportswoman. Individual and club nominees for each regional heat must reside or compete within their respective area. Nomination forms can be downloaded below. Hard copies are also available from Coleraine Leisure Centre, Joey Dunlop Leisure Centre, Roe Valley Leisure Centre, Sheskburn Recreation Centre and the Leisure and Development Department at Cloonavin. 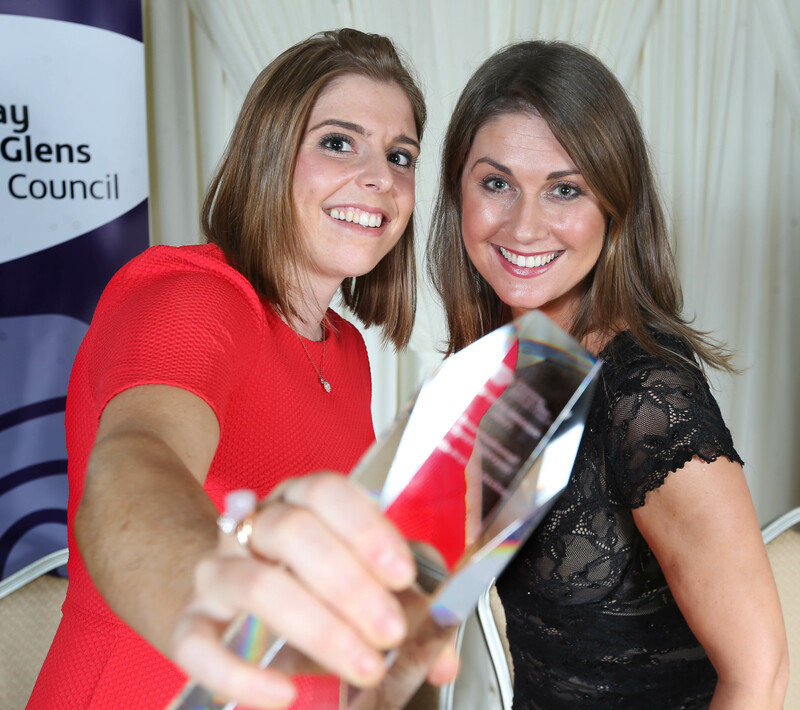 International Sportsperson of the Year, hockey player Katie Mullan pictured with Sarah Travers at The Sports Awards in 2017.